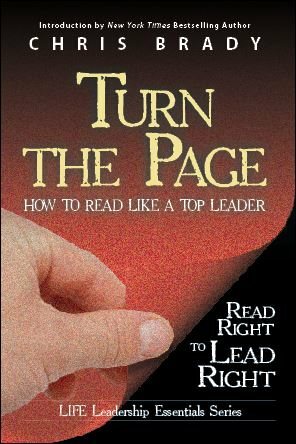 When I got the book Turn the Page in the Life Leadership ‘LIFE’ subscription for the month of January 2014, I wanted to start reading it right away; I knew that I wasn’t reading enough and thought this book can give me the boost I needed to read more. It has, and it is the reason for writing this piece; it is probably more for my benefit than for anyone else reading it (unless you don’t read yet, and this get’s you to start!). Although the book goes into many great concepts, including when and where to read and how to find the small cracks of time that no one thinks about, it also talked about making lists and being kept accountable. This post is an introduction to my reading list. I’m making a list (see it here) of all the books I can remember reading on leadership and personal development, and I’m listing everything I still want to read on it as well. I’m going to put the date of when I started the books I’m currently reading, and when I finish them. This will keep me accountable to how much I’m actually reading since you will all see it! I’ve also decided to start getting back into some of the books I read for fun, as this book even suggests to do that – as long as you’re not messing your mind in the process, and as long as you are not putting off the other reading we should be doing. Click to view my reading list! Great post! I’m reading the same book right now and I feel the same as you. Need to get reading more and I need to get more out of what I’m reading. I have a tendancy of reading to check another one off the list.